Financial markets around the world were in turmoil Wednesday as investors, speculators, analysts and pundits tried to assess the significance and implications of the devaluation of the Chinese currency and the establishment of a new mechanism to determine its daily rate. After a 2 percent decline on Tuesday, the renminbi (also known as the yuan) fell a further 1.6 percent yesterday. Markets were down across Asia as some currencies dropped to their lowest levels since the Asian financial crisis of 1997-98. The Malaysian ringgit fell by 2 percent to its lowest level since 1998, while the Indonesian rupiah dropped by 1.4 percent, taking it to a 17-year low. The Singapore and Taiwan dollars were also down, while the Vietnamese currency fell by 1 percent after financial authorities widened the band within which it can trade to 2 percent from a previous limit of 1 percent. Stock markets across Europe were also down significantly, reflecting fears that the devaluation may signify that the slowdown in the Chinese economy is more severe than previously thought and that a fall in the Chinese currency will add to deflationary pressures in the global economy. The FTSE Eurofirst 300 index fell by 2.7 percent following the downward trend in Asian markets, a shift that was reflected in other indexes. The pan-European Stoxx Europe 600 index dropped by 2.7 percent, while Germany’s trade-sensitive DAX index plunged 3.3 percent amid concerns that the Chinese decision, which cheapens its goods, will make for tougher conditions in already highly competitive export markets. Wall Street began the day by following this trend, with the Dow down by as much as 277 points following its 212-point decline the previous day. It rallied in the latter part of the afternoon to finish unchanged for the day. The motivations behind the decision of Chinese authorities to devalue are based on a complex of factors. There is no question that a significant issue is the attempt to provide a boost to exports following the downward trend in recent months—exports contracted by 8.3 percent for the month of July—and to ease the pressure on Chinese companies caused by the rise in the value of the renminbi. This year, the Chinese currency has increased by more than 10 percent as it followed the upward trend in the value of the US dollar. 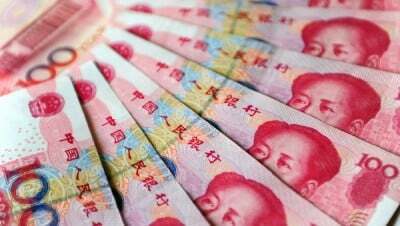 Another factor is the government’s efforts to have the renminbi included in a basket of currencies used by the International Monetary Fund (IMF) to set the value of its special drawing rights. But one of the conditions for such inclusion, which would strengthen the international role of the renminbi, is that its value be determined by market forces rather than by regulation. The IMF is generally thought to be on board with a move to include the renminbi as a global reserve currency, but the final decision will not be made until later this year and will require support from the United States. Significant sections of the Democratic Party leadership have voiced their opposition. Senior Democratic Senator Charles Schumer of New York, who attacked the devaluation as soon as it was announced, was joined yesterday by Sander Levin, the top Democrat on the House Ways and Means Committee. He claimed that China had a history of devaluing its currency to gain an unfair export advantage and declared that its latest actions raised “serious concerns.” “There is reason to be sceptical…that the largest devaluation of the Chinese currency in over two decades is merely about moving to a market-based exchange rate,” he said. If opposition in the US leads to the exclusion of the renminbi from the IMF’s basket of currencies, it will heighten tensions between the two countries following the strenuous, but ultimately unsuccessful, American effort to block some of its close allies from signing up to the Chinese-backed Asia Infrastructure Investment Bank earlier this year. While there has been some commentary to the effect that China’s decision amounts to a stepping up of global currency wars, in which countries seek to boost their exports by cutting the value of their currencies, the overall assessment is that this is not the aim of the Chinese government. However, the move could have unintended consequences. China, he noted, would want to lower its exchange rate slowly, both out of fear that too rapid a fall would spark large capital outflows and because it would not want to risk opposition from the IMF, the US Treasury and other governments and financial authorities. The risk of a surprise turn of events was well illustrated by the recent Chinese stock market crash, when an intervention by the government to curb margin lending on share prices and take some air out of a developing financial bubble set off a market plunge that the government managed to halt only after a major intervention. While government and financial authorities both in China and internationally are anxious to avoid doing anything that may set off a crisis, their efforts could be undermined at any point by the relentless and powerful recessionary trends in the world economy. The Chinese economy is slowing rapidly, with considerable doubts that gross domestic product is increasing at anything like the official rate of 7 percent per annum. Key sectors of the economy, such as real estate and construction, are down, with reports emerging that some regional centres are actually experiencing not just slower growth, but an outright contraction. In July, overall investment in fixed assets rose by 11.4 percent, the lowest increase in 15 years. Cement production dropped by 5 percent in volume last month, and plate glass production declined by 13.5 percent.